Calculate Baltimore Harbor Tunnel Tolls. Only your vehicle class is required to get toll cost. How many axles (including trailers)? ► Starting exit and Mile Marker: 8A/8B: Hanover Street / Shell Road at Mile Marker 7.4, in Baltimore. ► Ending exit and Mile Marker: 11A/11B: O'Donnell Street at Mile Marker 11.8, in Baltimore. 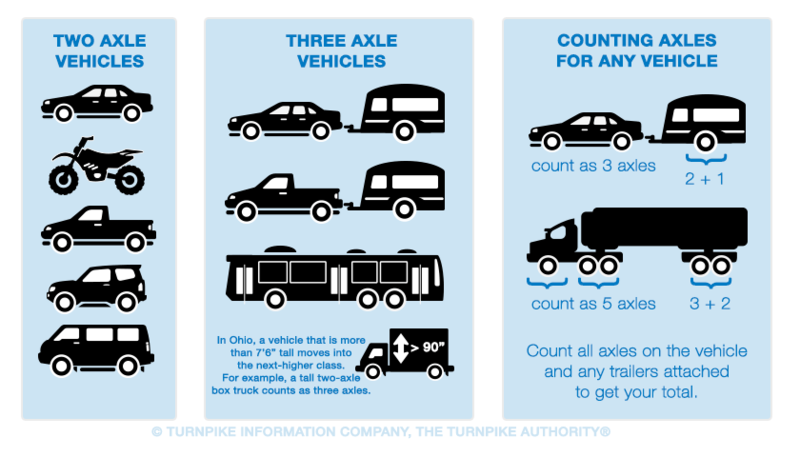 Tolls on the Baltimore Harbor Tunnel are calculated based on the number of axles for your vehicle. When counting axles, make certain to count the axles with wheels on the ground, including any axles on trailers you may be towing. There are 6 axle designations for Maryland. Count each axle with wheels on the ground. More detailed vehicle class information may be found on the Toll Payments page.